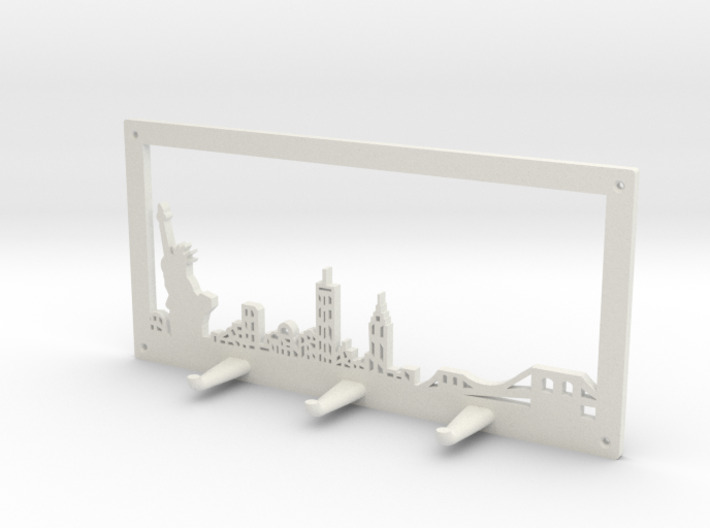 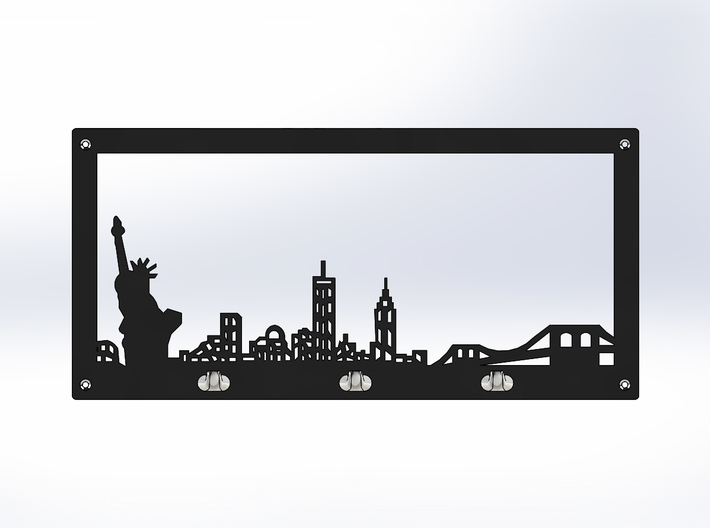 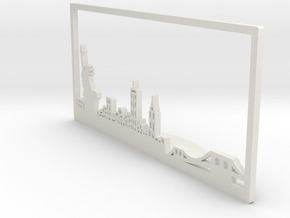 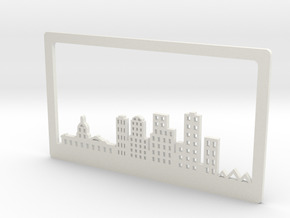 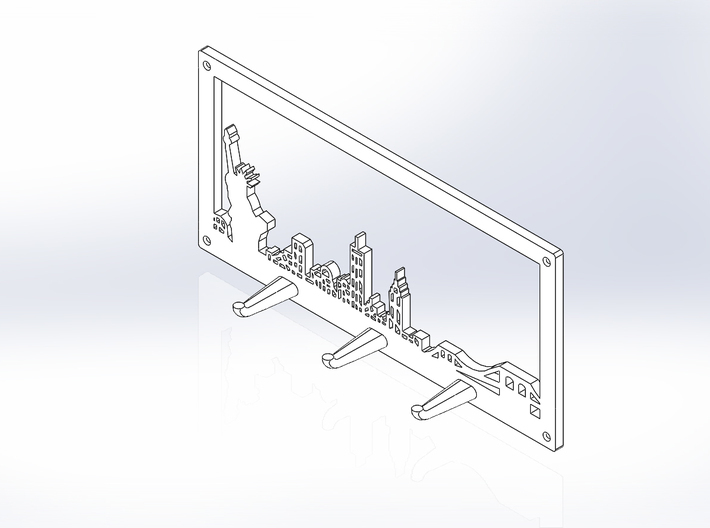 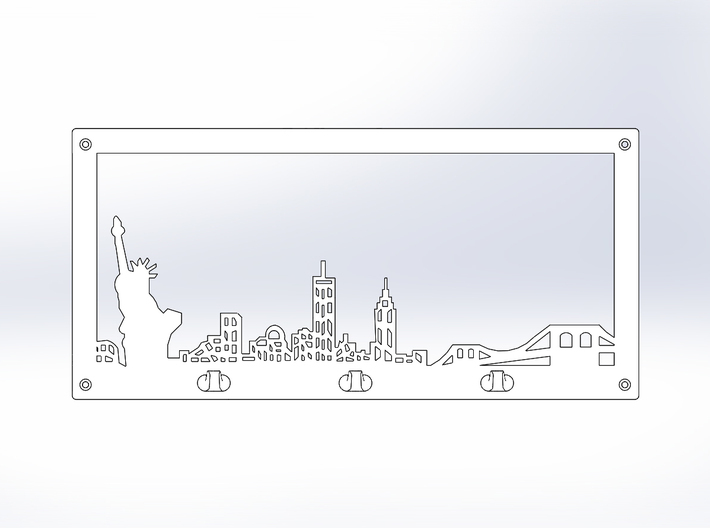 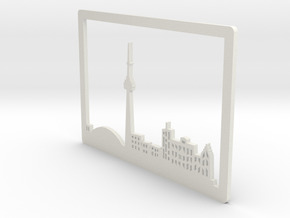 Key Chain Holder featuring a the New York City skyline. There are 4 holes made in the holder for 2 mm screws to attach to the wall. 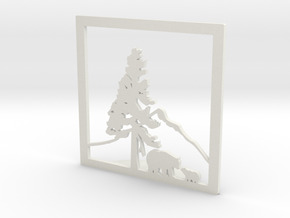 ​There is also a more affordable version in my shop that does not have the border.